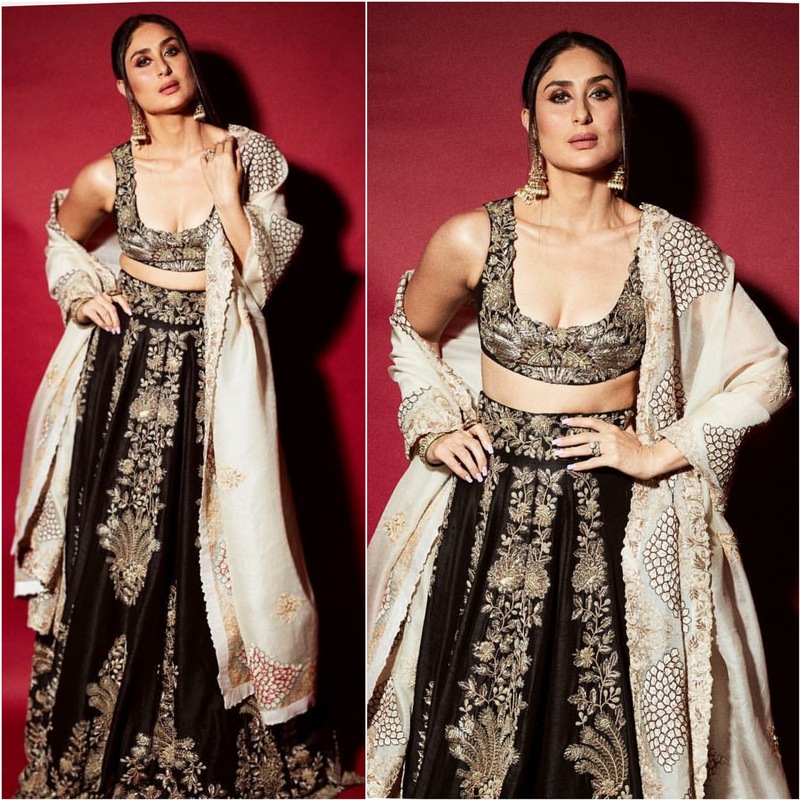 Kareena Kapoor Khan picked up a lehenga choli by designer Anamika Khanna for the recently held Pre Diwali celebrations. 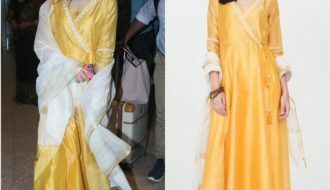 She finished off her look with Sunita Shekhawat jewelry along with smokey eyes. Kareena looked fierce and sensuous in this ethnic look!